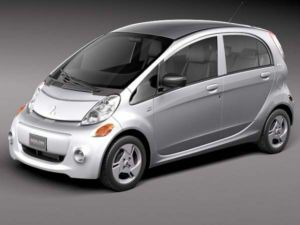 It looks like this is another redefinition and reinvention of small cars from smart. The smart for-us is the newest in a long lineup of unconventional smart concepts that includes the ForSpeed, the crossblade and the crosstown. The for-us is unique in the sense that its rear cargo area can accept two smart ebikes. The tailboard of the rear bed opens up, thus allowing easy access to the cargo floor. Another interesting thing is that it can recharge the ebikes, thanks to a 55kW magneto-electric motor. Compared to the production fortwo, the for-us is longer and wider, yet it retains the roomy for-two cabin. This could be the most versatile go-anywhere car; you can pull out the ebikes once the roads run out! 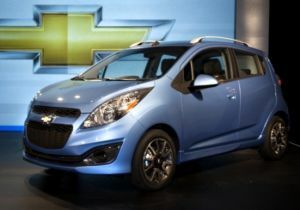 The for-us concept is set to be unveiled at the Detroit Auto Show in January 2012. Is it possible to charge an electric vehicle without plugging it in? Well, Daimler AG will just show that as it embarks on a project that will test inductive charging in real-world conditions. Under this project, a special charging coil will be fitted in a Mercedes-Benz A-Class E-Cell and will be placed over another charging coil in the ground to start the charging process automatically. The car is set for deployment in March in Berlin. This project is part of a bigger project that includes an energy-efficient house designed to produce more electricity than it uses. The excess electricity will be utilized to recharge the EV. A four-member family will live at the house for 15 months and use several EVs to demonstrate and explore how electric mobility and a new generation of buildings can interact in everyday life. 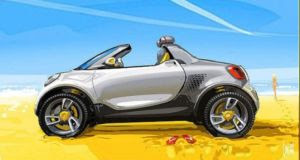 The vehicles will include a Smart ebike, a second-generation Smart Fortwo Electric Drive and the A-Class E-Cell. Canadians can now request roadside assistance, plan a trip with TripTik and search for exclusive member savings thanks to a new, all-in-one smartphone application launched by the Canadian Automobile Association (CAA). This easy-to-use application, launched for the Android, iPhone and Blackberry, can be downloaded for free and is available in French and English. Non-CAA members can also access this app. Thanks to this innovation, users can easily find exclusive member savings at more than 100,000 partner locations across the US and Canada. Users can also request for CAA Roadside Assistance without the need to place a call, get instant battery quotes, locate auto repair shops approved by the CAA and access automotive and insurance information. CAA members and non-members can also use the application to locate AAA/CAA-approved restaurants, lodging, campgrounds, attractions and events. 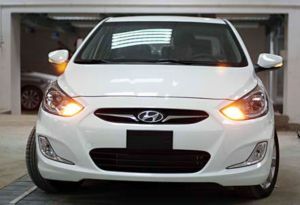 Hyundai has another two awards to be proud of; the Accent and the Elantra have won Canadian Car of the Year awards in the Best New Small Car Under $21,000 and Best New Small Car Over $21,000 categories, respectively. 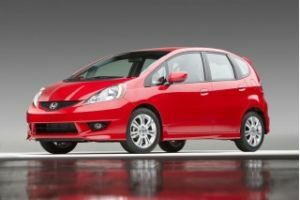 Members of the Automobile Journalists Association of Canada (AJAC), which conferred the awards, have spent a week test-driving 2012 car models to determine the winners. To qualify for the awards, a car must be all-new or largely redesigned. AJAC members drove the cars in a back-to-back testing, all on the same day and on the same tracks. 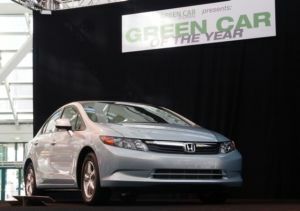 The winners in respective categories will be evaluated, with the overall Utility Vehicle of the Year and Canadian Car of the Year winners to be named at the Canadian International Auto Show in February next year. 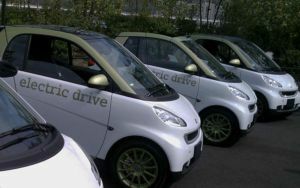 Starting on November 24, 300 units of Smart Fortwo Electric Drive cars will be offered in Amsterdam for on-demand mobility, without motorists needing to drop them off at a fixed rental station. This is made possible thanks to the launch of Daimler’s Car2go program, one of the first large-scale, all-electric vehicle car-sharing fleets in the world. 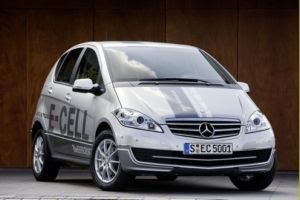 According to Daimler, vehicle recharging will not be compulsory after every rental, as the range of Smart is eight to 10 times higher than a rental’s normal operating distance. Amsterdam also now has over 250 charging stations within the city. This launch will pave the way for a new pricing structure for Car2go for Amsterdam, as well as for current and future locations across Europe. Amsterdam, which only uses energy from renewable sources, is the first European city with an all-electric fleet and the fifth city with a Car2go service worldwide. Car2go programs are also available in Vancouver, Canada, in Austin, Texas, and in German cities of Hamburg and Ulm. Nissan Motor Co. has set its sights high on green cars, aiming to become the world’s number one in this segment. The Japan-based manufacturer of the Leaf electric vehicle recently unveiled its six-year strategy, planning to develop a plug-in hybrid by March 2017 and cutting C02 emissions by about 20 percent for each car compared with the levels in 2005. 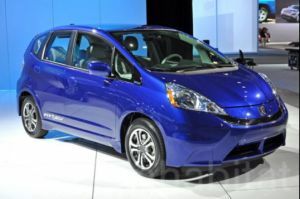 Nissan also aims to boost its vehicles’ fuel efficiency by 35 percent compared with 2005. Carlos Ghosn, CEO and President of Nissan, believes that being ecological can give them a competitive advantage allowing them to stand out as good corporate citizens. 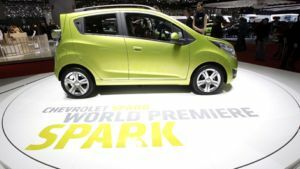 "More consumers are demanding products in line with their values, including cars and trucks with a lower carbon footprint. At the same time, we are using technology to make our factories greener and more efficient," said Ghosn. The company was working on another type of zero-emissions car, a fuel cell and on other forms of environmental technology like clean diesels. To date, electric vehicles are still a niche market. 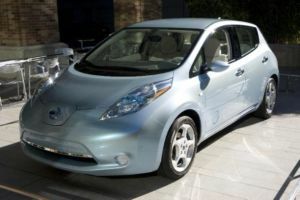 Around 16,600 Leaf vehicles worldwide were sold since Nissan offered them in December last year. 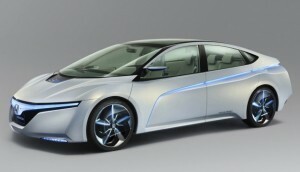 Competition within the EVs sector, however, is expected to see intense competition as other carmakers like Toyota enter the segment. 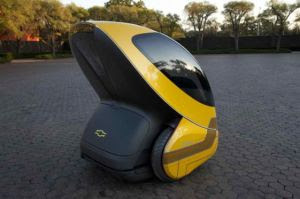 The next-generation EN-V concept vehicle proved to be a hit at last year’s Shanghai World Expo, and now, General Motors is working on this personal mobility design. The EN-V, short for Electric Networked-Vehicle, represents the company’s vision to satisfy the increasing demand for secure, connected, zero-emissions personal transportation and could take part in pilot demonstration programs in cities worldwide to determine its real-world practicality. Future EN-V concepts will also sport a Chevrolet badge, said GM. -- Chris Perry, vice president of global Chevrolet marketing and strategy. The EN-V is a two-seater electric urban mobility concept designed to tackle environmental issues and help lessen traffic congestion, parking, energy consumption and safety concenrs. 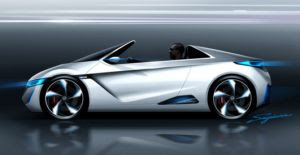 The next-generation concept will come with new features including storage space, climate control as well as all-weather and road condition operation, while battery electric propulsion, autonomous driving capabilities and connectivity will be retained. 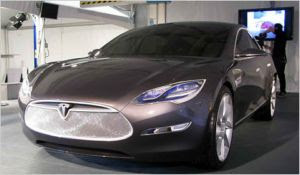 It was in 2009 and 2010 when electric vehicle maker Tesla first entered into a supply deal with Panasonic for automotive-grade lithium-ion battery cells. After a year, the two companies finalized the deal. The deal covers enough battery cells to develop over 80,000 EVs over the next four years. It also guarantees that there will be sufficient cells available next year to meet the carmaker’s fulfillment of over 6,000 existing Model S reservations at the same time meeting its margin and cost targets. The new deal builds on a multi-year partnership between the two firms to create next-generation battery cells and speed up the market expansion of EVs. Is smart road technology the answer to traffic gridlock? Edmonton is the first North American city to sign up for the “smart road technology” intended to alert motorists on traffic gridlock. The state-of-the-art system of cameras and sensors is set to be installed along Yellowhead Trail, one of the busiest arteries in the city, in the coming years. Sensors installed in the pavement will pick up on accidents and gridlock and then send warnings to drivers via overhead digital signs. This alert system will help motorists avoid annoying bottleneck situations, said Brice Stephenson, manager of Transportation Operations in Edmonton. “If there's a collision or construction, or some other problem, we can tell motorists to use other routes,” he said. The smart traffic technology is a joint project among various companies including German traffic logistics company PTV and carmaker BMW. These companies hope that they could eventually feed alerts into the GPS systems of vehicles. However, this software has not come cheap for Edmonton, which has already spent nearly $10 million on the cameras and sensors. Another $2 million is expected to be incurred for the smart road software. What do Edmontonians say about the technology? Edmonton motorists have differing opinions about this software; some say it is a band aid solution for other road problems, while others claim it is just a waste of money. The city is currently in the planning stage of a 30-year long program designed to ease gridlock and enhance safety on Yellowhead Trail, where around 80,000 cars travel every day. 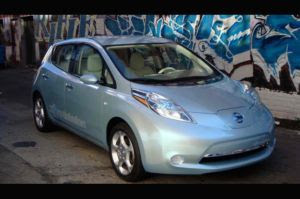 Are you a big fan of the Nissan Leaf? Then, like the electric vehicle on its Facebook page. By doing this, you are actually helping to plant about 12,500 trees in Canada through a new collaboration between the carmaker and Tree Canada. The program officially kicked off this week, with both employees of the Tree Canada and Nissan Canada planting 50 trees in Moccasin Trail Park in Toronto. This event also marks the beginning of the countrywide “We Dig Trees” competition, which is also found on the Facebook page of Leaf Nissan. Just like the page for you to qualify for a grand draw of either a six-day coast whale-watching excursion in Newfoundland, or a four-way west coast sailing adventure in British Columbia. Tree Canada will provide the resources and tools needed to plant 12,500 trees from May to June 2012. Canadians can join the “We Dig Trees” until November 18, 2011, with the lucky winners to be announced on November 30. Visit Nissan Leaf to enter. 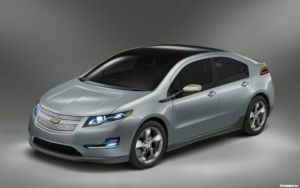 What’s with the EV 2011 Conference and Trade Show? This year’s EV Conference and Trade Show was indeed full of big announcements concerning electric vehicles (EVs). The series of conferences, which happened in Toronto on September 26 to 28, also addressed several issues plaguing the industry. As expected, the event became a platform for showcasing existing and future models. 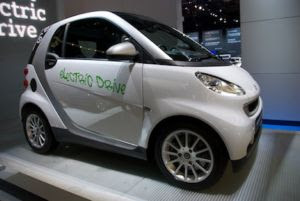 Attendees were treated to a varied display of cars, including the Smart Fortwo Electric, Ford Transit Connect Electric, Chevrolet Volt, Toyota Prius Plug-In Hybrid (PHEV), Nissan Leaf and Mitsubishi i-MiEV. One of the huge announcements made at the event was “Building Canada’s Green Highway,” a dream for Canadians to travel with alternative energy running their cars. This aims to supplement petroleum stations now available with car electricity and the accompanying charging infrastructure. Various hurdles that should be overcome before EVs go mass-market were also tackled in the event. One of the major issues around the development of EVs is the battery, which has failed to keep pace. Companies find it challenging to create smaller batteries though some are now working on denser, newer materials to place more energy into small-sized batteries. The infrastructure needed for charging these batteries also poses a challenge. EVs will initially go to those who can charge them easily at home or work. This would probably rule out condo residents unless charging stations are installed. But together with making charging stations as widespread as gasoline stations, standardization is an important part of electric acceptability. 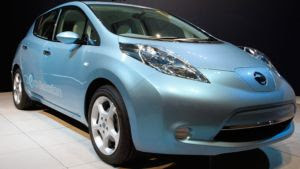 Here’s what Ian Forsyth, director of corporate planning for Nissan Canada, said about this. Click here for more of his statement. After its lengthy absence in Canada, Fiat is making a comeback with the all-new Fiat 500. Re-launched in Europe in 2004, the carmaker aims to combine affordability with Italian style in the all-new Fiat 500. Powered by a 1.4 liter, 4-cylinder engine producing 101 HP, the 2012 Fiat 500 is available with a 5-speed standard transmission as standard. 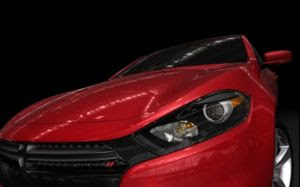 Spend additional $1,300 to get it with a 6-speed automatic transmission. 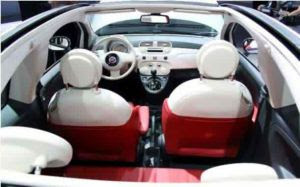 Placing emphasis on safety, the Fiat 500 comes with seven standard airbags, four-wheel ABS brakes, electronic stability control, as well as an Active Head Restraints. All these features make the 500 a safe vehicle to drive. Available in Pop, Sport and Lounge styles, the Fiat 500 gives you the most value for your money, with prices starting from $15,995 to $22,995 for top-of-the line models. 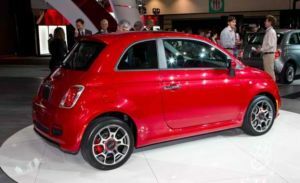 The 2012 Fiat 500 is indeed an attention getter thanks to its cute looks and smooth lines. You’ll surely stand out in the crowd with this nice little car. For more details about this new model, click here.